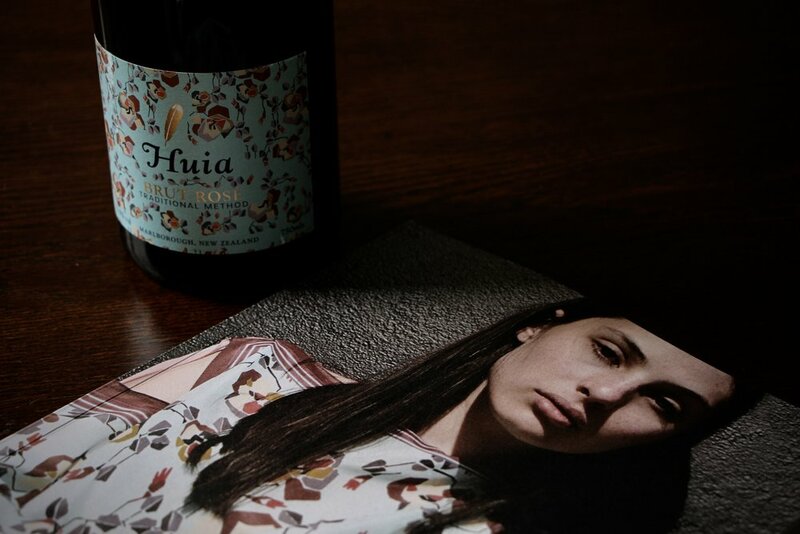 The Huia Sparkling Brut Rosé 2016 | by Claire & Mike — Huia Vineyards Ltd.
To celebrate the long-time partnership of Huia Vineyards and New Zealand fashion designer Kate Sylvester, we pop our 2016 Limited Edition Estate Grown Sparkling Rosé Brut just in time for the party season, wrapped in a delicate modernist rose print from Kate Sylvester’s upcoming collection “Frances”. In March 2018, Kate and her husband Wayne were visiting Te Papa Tongarewa where they were lucky enough to be given a guided tour of the Te Papa art archives. They were admiring a couple of iconic Frances Hodgkins paintings when the curator carefully unveiled a series of textile designs developed by Frances in the 1920’s. Ninety three years after Frances first executed them, Kate Sylvester has realised her textile designs as finished prints, building an entire collection around those beautiful jewels. The collaboration with Huia Vineyards is the first teaser from Kate Sylvester’s up coming collection “Frances” releasing January 2019, which celebrates the innovative and pioneering New Zealand artist Frances Hodgkins. The Huia Brut Rosé 2016 is a sparkling pink wine made in the traditional method by Claire & Mike. 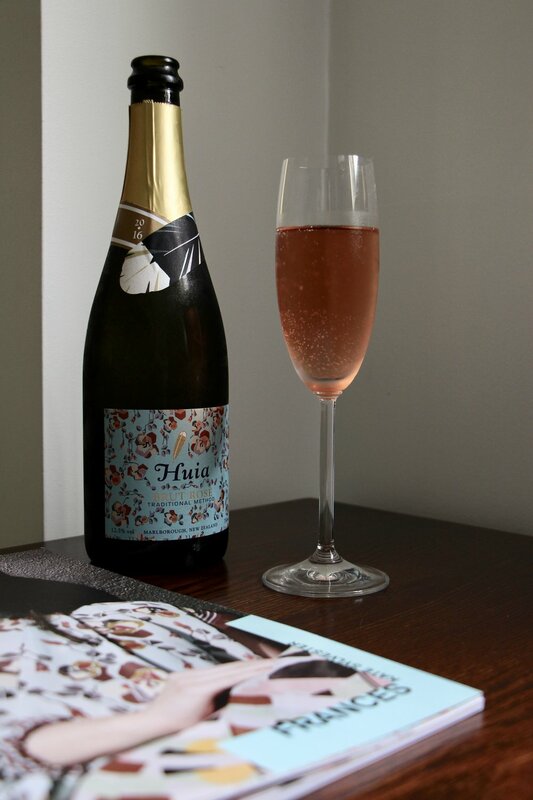 While they are well known for their sparkling wine, this is the very first sparkling rosé to be released by Huia Vineyards. The 2016 vintage was an excellent year in Marlborough and the grapes developed very good flavours and balance. This vintage is made from 100% Pinot Noir grapes that are farmed and grown by Claire & Mike. They are certified organic and estate grown on the Huia vineyard in Rapaura, Marlborough. The Huia Brut Rosé 2016 is available from our online store now and will be in selected fine wine retail stores from 5 December.